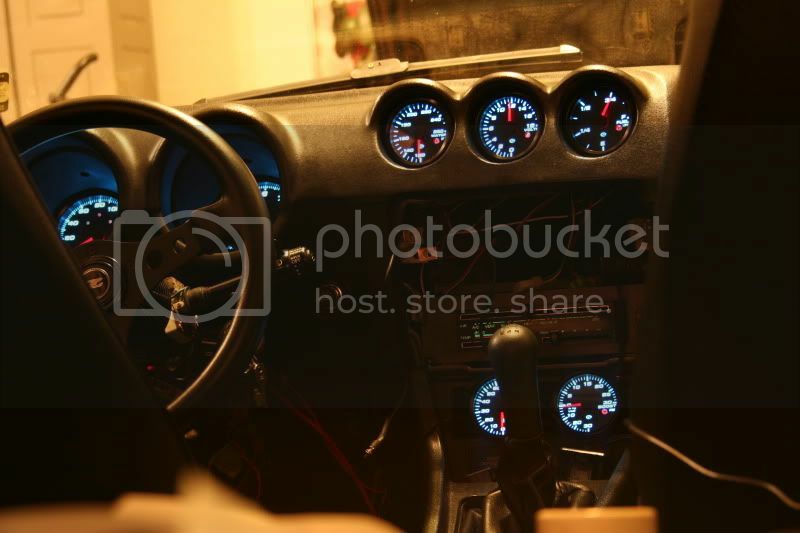 CTZCC.COM • View topic - Prosport gauges?? Has anybody used these gauges or heard any good/bad feedback on them? Phrog and Bryan Little probably have more 'gauge' experience than the rest of us combined. Also Logan in Oklahoma researched a bunch of them before he installed his. There are a few others locally who have changed their gauges during restoration as well, including "Tiny" (Alan Garcia) in Bridgeport, who made his entire dashboard look like a spaceship at night. Hopefully one of them could chime in on the subject with there knowledge. They have been getting good feedback on Z31P so I think I might order some up, but still any input is appreciated! I will not recommend any gauges other than Speedhut. They're that good. Autometers will do well in a pinch, but the revo gauges I've got are simply the creme de la creme compared to everything else I've seen. My setup looks like absolute junk in the photos, but that was from mid-installation tests. Customization of lighting and appearance to your heart's content. I have prosports in my Z and have for several years (boost/vacuum and oil pressure). I think they are great and offer a more reasonably priced alternative to the Autometer, Speedhut, Etc.. Those are all great gauges and if you have the coin then by all means, but these work just fine and look great. If you will be at the meet this Sat in Middletown feel free to poke your head in to take a look. 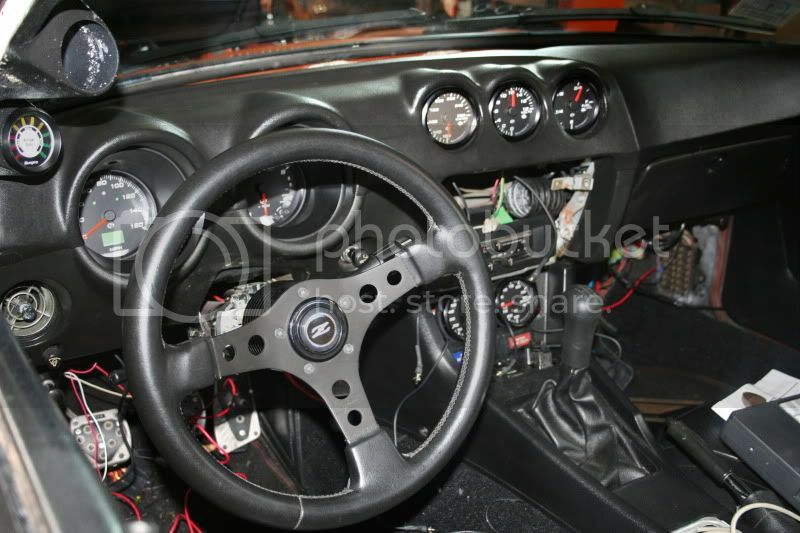 Those speedhut gauges look pretty good and come in the 2 5/8 size i want but they are a little too pricey for me atm. I will be at the meet so I'll definitely be checkin out your setup Greg. work did me in. Anyone with info on fuel gauges and tanks for 240/260's? lots of QC issues with these gauges. I would stick with speedhut, autometer, stewart warner, VDO. gauges are autometer gauges, so why are you saying lots of QC issues? Also, I never did get any answers of fuel tanks. I'm having fuel gauge issue looked at now, I know sender is sending a signal as gauge moves, albeit only between 3/4 and full. Leads me to believe gauge is wrong ohms for sender. QC was in reference to prosport. They tend to be inaccurate. The senders are junky. I was looking into them for a while and then I finally gave up. Like someone said, they haven't had an issue, but I know people who have had issues. Mostly with gauge needle position and junk senders. Some are good, some are bad, hence QC issues. haven't heard that many complaints from people with AM, speedhut, DEFI, stewart warner... etc. Speedhut doesn't seem to be that expensive. You can get a whole cluster for around $800. The AM set i was looking into was over $1200.